Girls has attracted a lot of criticism for the overwhelming whiteness of its cast; at first, Lena Dunham's response was to say that she feared she couldn't accurately speak to the existence of women of color. As Stage 2 in Responding to Race Critiques, Dunham had a black male character (Sandy, played by Donald Glover) date her character, Hannah, for two episodes. This fictional relationship dissolved in a strange meta-response to criticism about race: Hannah defensively and feebly responded to Sandy's accusations of race myopia and tokenism, which was met with a diegetically-acknowledged eye roll provided by Sandy. 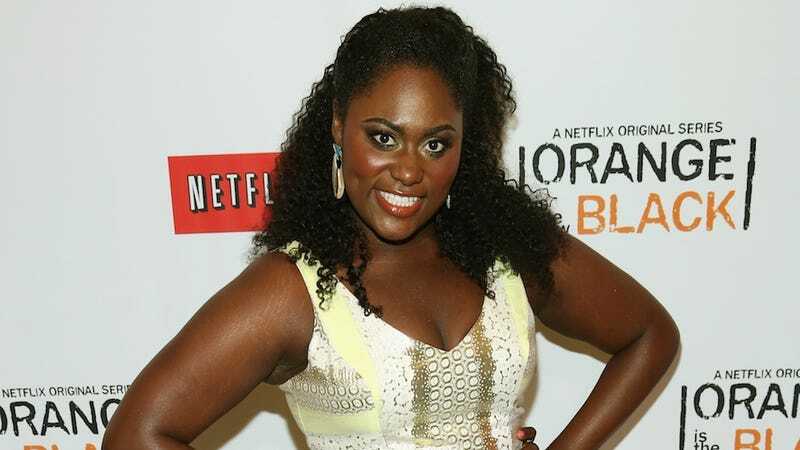 Now we are on to Dunham's third attempt to respond to criticism about race representation, and it looks like she might finally have gotten it right: according to a recent interview with actress Danielle Brooks, there will be a black, female character on Girls season 3. Of course you’re going to get to see a lot of Taystee in season two and I just shot an episode of ‘Girls’ for HBO. I will be the first Black woman to be on ‘Girls,’ so that’s exciting for me. Other than that I just don’t know. I’m hoping Melissa McCarthy will hit a sister up. Both of these women are remarkably talented and unbelievably hilarious; it's wonderful to see them cast in such a critically-acclaimed and widely watched (and feverishly discussed) show — plus, it's refreshing and encouraging to see Lena Dunham working to promote more diverse representation, instead of clinging to her old "but my experience is white experience!" excuse. Only time will tell whether these character arcs will be longer — and more thoughtful and in-depth — than Glover's.